Fall is finally here! And pumpkin season is in full swing. So it’s time to get ready for FALL and that means all things pumpkin, right? 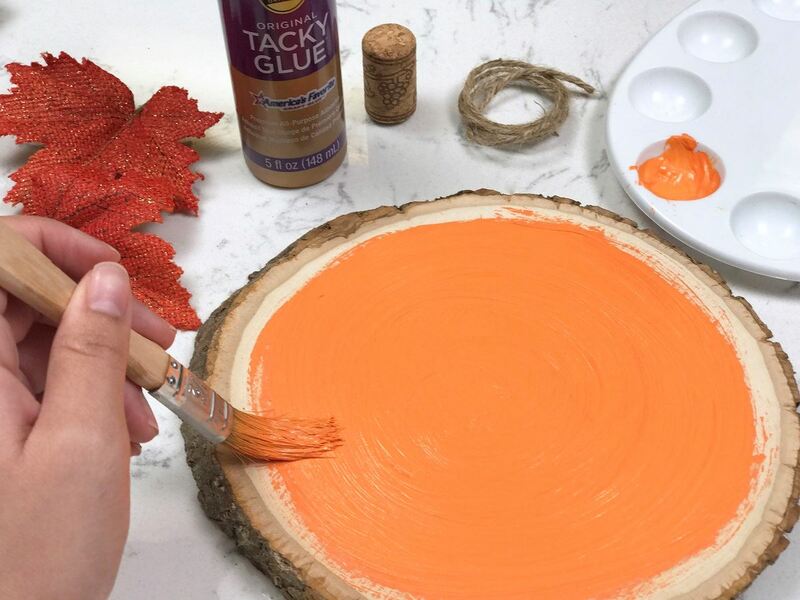 This incredibly adorable DIY is so fun an easy to make with Aleene’s Original tacky glue and a few more supplies. 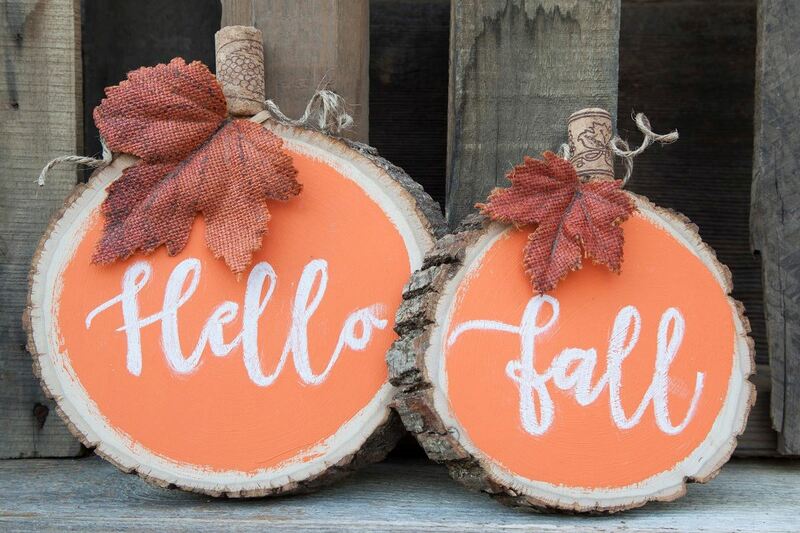 To create these adorable pumpkins start by painting the inside of the wood leaving about a half an inch border. Let the paint dry. 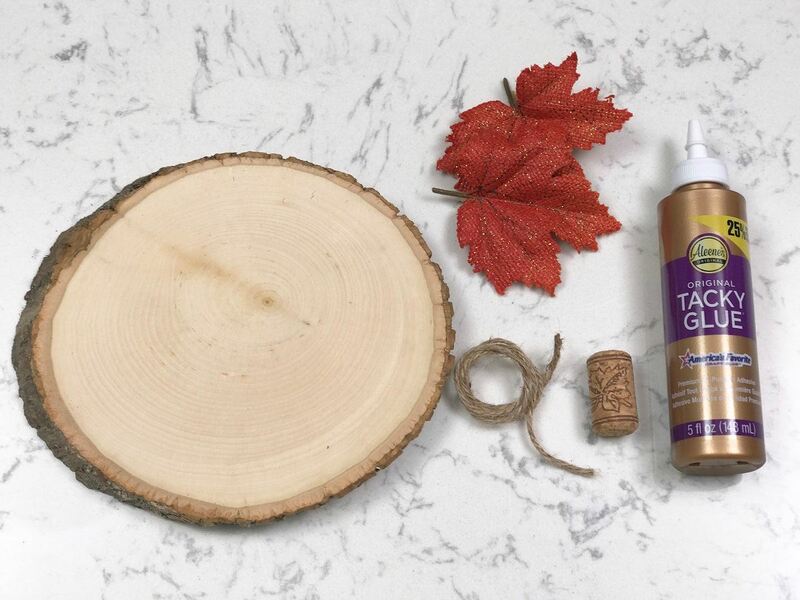 Glue the cork to the top of the wood. 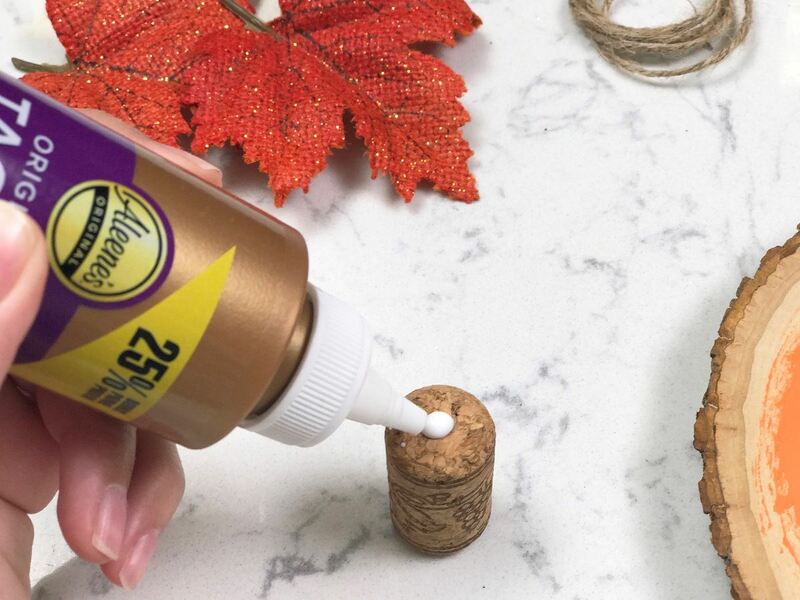 You can get creative with the stem, I chose to use a cork but a cinnamon stick, or some small branches would be fun to use as well. 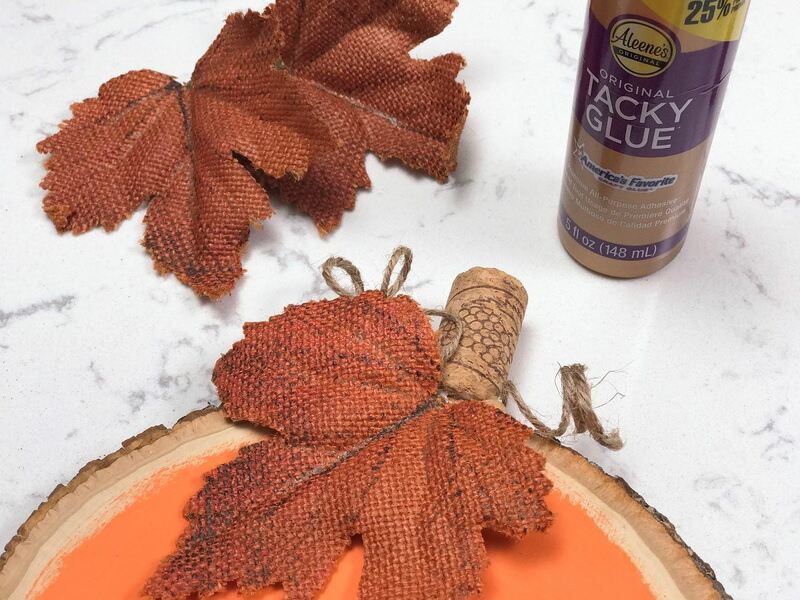 Glue some twine and leaves next to the cork. Let that dry. It’s that easy! 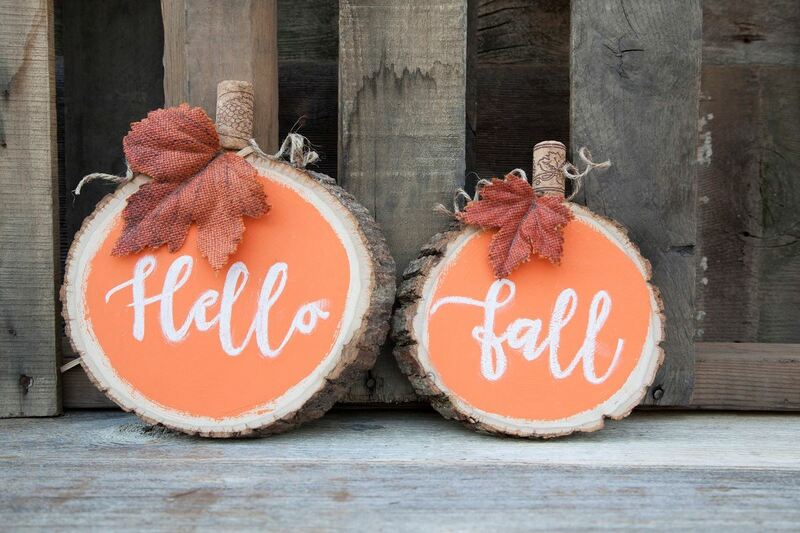 Now just write your favorite phrase with chalk and display these adorable pumpkins in your home.